When the Taliban shot Malala Yousafzai for going to school last year, the world was finally forced to pay attention to the girls’ education crisis. Globally, 66 million girls don’t attend primary school. And the reasons they stay home invariably relate to gender and socio-economic disparities, like high tuition fees, lack of safe transportation, and housework responsibilities. Documentaries like Girl Rising and Half the Sky have further brought global gender inequality into people’s living rooms. But what do girls, especially those who live in areas affected by these issues, think of the crisis? I wanted to find out. And Naddi–a village that has undergone perceptible social change in the past 20 years–serves as a compelling place to ask. Research I’m conducting on female education patterns in Naddi already indicate an increase in girls’ graduation rates. Girls in Naddi today are simply more privileged than their mothers were. Whether this progress has to do with successful government schemes, poverty reduction, or a change in attitudes isn’t yet clear. I thought teaching about the girls’ education crisis at Girls’ Club, our after-school program, would act as a lesson in both gender awareness and gratitude. Next, the girls were divided into two groups based on their objects. Those with props that symbolized access to education were rewarded with cookies, books, and a laptop. Those with props that symbolized a hindrance to education were given nothing. The tensity was palpable. The privileged group giggled amongst themselves, eating and in awe of the computer. The disadvantaged group gaped at them—some girls even looked glossy-eyed. 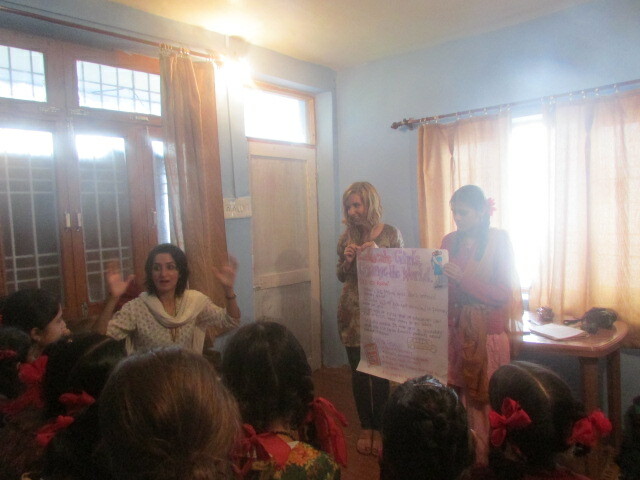 When watching the disadvantaged girls mope became too much to bear, I explained the activity’s purpose. I relayed some facts and statistics (for both India and abroad), Malala and her schoolmates’ story, and the benefits of female education. 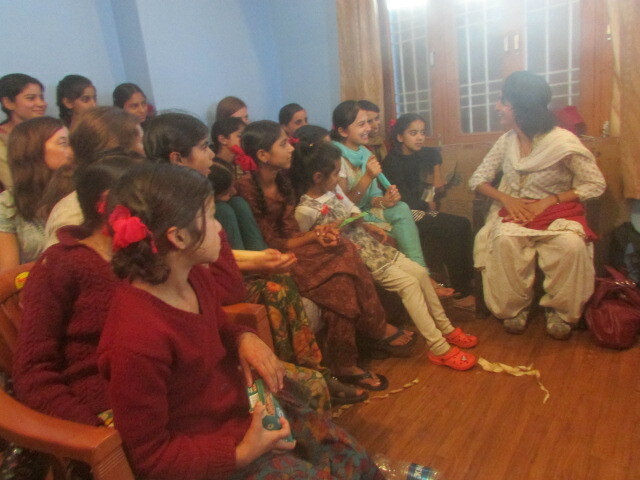 With the help of Fatima, an intern who translated in Hindi, the girls listened intently and shared their thoughts about the crisis. 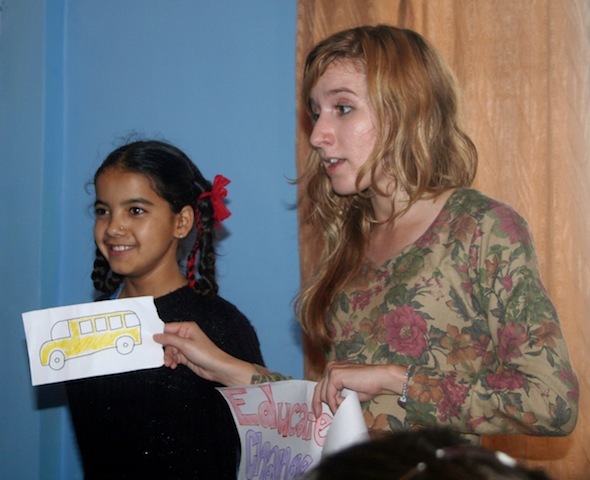 The older girls said that India’s free education system should improve the situation. They even discussed the rising costs associated with their own school uniforms. The younger girls expressed surprise that not everyone goes to primary school and that it’s truly unfair. Eleven-year-old Sunanna, never one to shy away from candor, even suggested that once all the girls in the world are educated, “we will be strong and can go to Pakistan to confront the men who hurt Malala.” It’s a lofty proposal, perhaps, but one that implies an impact, and even a little hope.